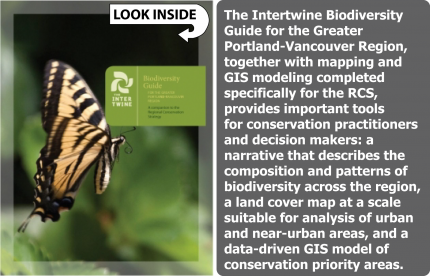 Access the GIS Mapping Data here! 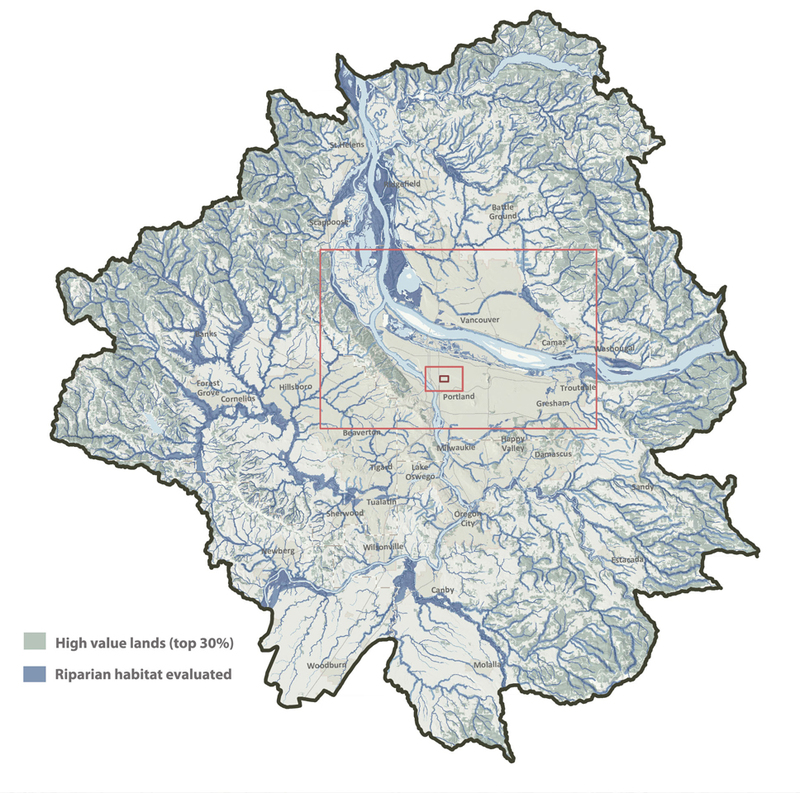 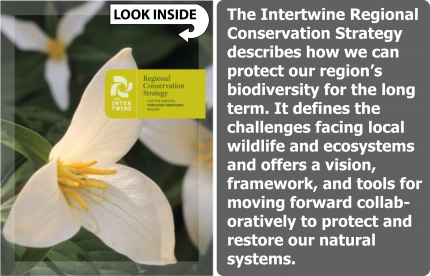 The Intertwine Alliance Conservation Initiative aims to promote effective protection and enhancement of the region's fish and wildlife habitat, water quality and other vital ecosystems services through strong, clear vision and strategic, science based approaches. 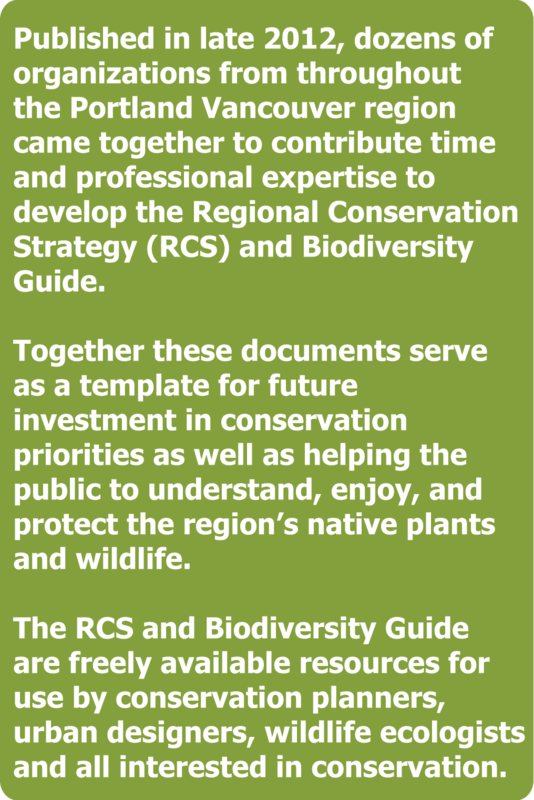 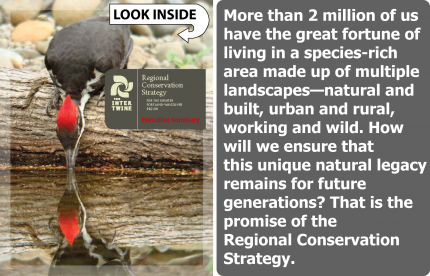 The Regional Conservation Strategy documents are available below, or you can create your own custom land cover maps on our Regional Conservation Strategy Viewer.